Over the years I have become somewhat of a digital pack rat. 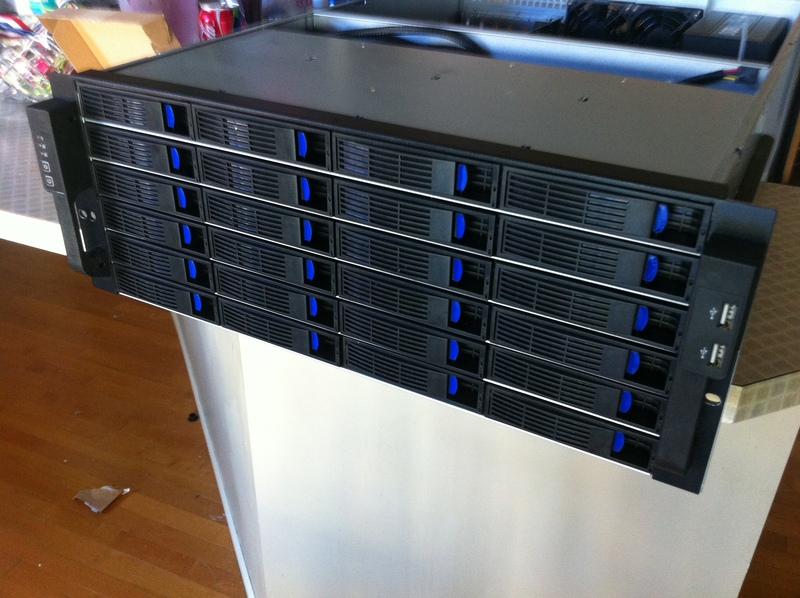 I started with a simple setup consisting of 4 300GB drives attached to an adaptec raid card running raid 5. 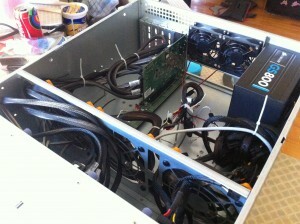 When that ran out of space I added an additional 5 500GB hard drives and proceeded to fill those. But a lack of raid resulted in a large loss of data one day. It became clear to me that I need a lot more storage, more redundancy from drive failure, better throughput and something that could give me some bragging rights. Once completed this setup ran for a few years before i managed to fill it up and then require more space. The solution I came up with was to add another Norco 4224 with an additional 24 3TB drives running off a new raid controller located in the previously configured server. Both of these cases are rack mounted in my basement and a run 24x7.